Soccer fans all around the world are biting their nails as the Champions League is now in full swing. The tournament started its early stages in September of 2018. Currently, the Champions League is in the Round of 16 stage of the tournament. 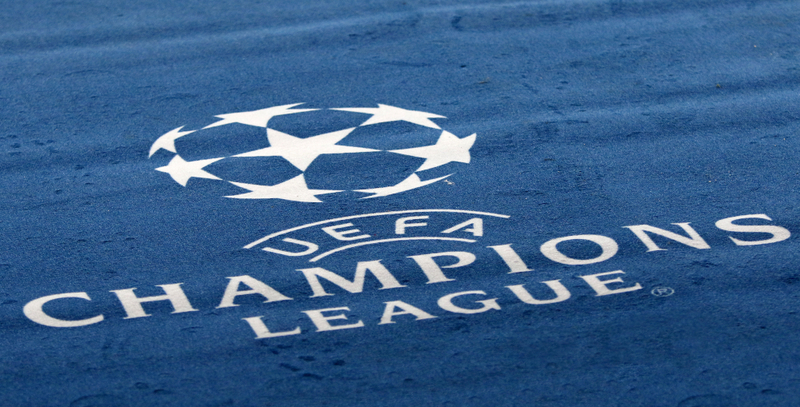 The Champions League is the toughest competition for professional club soccer in the world. The biggest teams in Europe compete for a chance to win the tournament and be crowned the best team in the world. It is the most watched annual sporting event worldwide, the final will be held on June 1st of this year. The tournament is foreign to many Americans, and the way it runs is complicated. Thirty-two teams earn their spot into the tournament by the team’s success in their country’s own soccer league. Those 32 teams, all from different countries and regions, are sorted randomly into eight groups of four teams each. This is called the Group Stage and it is the first stage of the tournament. Each team plays each other team in the group twice and at the end, the best two teams from each group move on to the Round of 16. Here, teams compete against each other in two matches, one home and one away, and the team with the worse goals-for vs goals-against ratio is knocked out. This procedure continues into the Quarter Finals, the Semi-Finals, and finally into the UCL Final itself. The 2019 Champions League is unlike many others, in that the previous winners of this tournament, Real Madrid, have been knocked out by Ajax, a Dutch team. This upset along with the inclusion of an in-form Liverpool has kept the tournament interesting. There is no clear front runner in the tournament and teams that have no business messing with the great legendary soccer clubs like Barcelona, Real Madrid, Man City, and Juventus have found their way into the Round of 16 and are giving the tournament a freshness that draws eyes all around the globe. As of right now, the teams still in the tournament are: Barcelona (Spain), Manchester City (England), Juventus (Italy), Liverpool (England), Ajax (Netherlands), Tottenham (England), Manchester United (England), Bayern Munich (Germany), Lyon (France), and Porto (Portugal). 1.) Manchester City- They are looking fierce this year. They are top of the table in the English Premier League and look to add a Champions League title to their season. This team is organized and has been making teams look silly with their clinical passing and finishing. Their most recent result was a 7-0 win over Schalke to knock them out of the Champions League. 2.) Barcelona- Barcelona has always been a top club, but this year they are truly showing their class. Their star striker, Messi, has the most goals by any player in Europe’s top five leagues. They are linking up well, and their defense has been world class thanks to their two center backs, Pique and Umtitti. They are top of La Liga (The Spanish League) and hope to end the three-year drought of no champions league trophies being presented to them. 3.) Liverpool- Success finally seems attainable, and Liverpool fans have developed an, “if not now than never” type of mentality. This golden era of Liverpool players has brought some of their best soccer ever. With big name attackers like Mo Salah, Mane, Firmino, and Shaquiri it is hard not to be intimidated by their goal scoring capabilities. Jurgen Klopp, the team’s head coach, has also been able to plug the hole that has been leaking in Liverpool’s back line for years with the addition of center back Virgil Van Dijk. Needless to say, Virgil Van Dijk is having the season of a lifetime. Liverpool is also in a tight race for the English Premier League title with Man city and is currently second in standings not far behind Manchester City, so they will be hungry for glory in the Champions League.